The Martin Pipe Handicap Hurdle is an extremely tough race to solve, like all Cheltenham handicaps are. The race is ran over the distance of two miles, four and a half furlongs which makes it a test of both speed and stamina. Due to the race attracting a large field, horses need to have the speed to get a good position in the race, but they also need to be able to stay the distance, as it is not over the minimum trip. Like any other Cheltenham handicap, many horses will come into the race and look well handicapped on paper and it can be tough to solve just who is the best handicapped horse in the race. The top stables will all have their main hopes, but when the entries come out it is down to you who to pick out as one to back in the race. 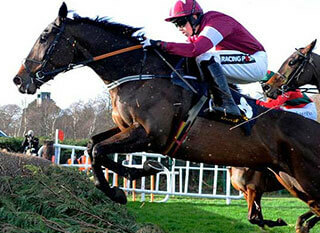 Anyway, make sure you take into account the Martin Pipe Hurdle odds. Being for conditional jockeys there is another element to this race and that is that you want your selection to be ridden by one of the best conditional jockeys if possible. These top conditional riders are booked weeks before the race so jockey bookings can actually be a tip to a horses chance, especially if it is a jockey riding for a stable they don’t normally ride for. Let's check our Martin Pipe Hurdle betting tips. This race has only been going for nine years, and the stats so far show the British trainers have had five winners, while the Irish have had four. The race is extremely competitive and hard to win, but despite that Willie Mullins has already managed to win the race three times. Make sure you keep an eye on his entries when the horses come out, he is clearly someone who targets this race. Another trainer to watch out for is David Pipe, he is yet to win this race, but it is named after his father so he always sends a horse that has a great chance to it. He would love to win this race one day, and will be trying to win it every single year. Aside from that, it is just a case of watching out for horses that could be well handicapped throughout the year. Make sure you have a horse who can stay the distance because the Martin Pipe Conditional Jockeys Handicap Hurdle is ran at a fierce pace and whoever wins the race will need to stay. Your horse will also need a lot of luck, with so many runners in the race, and conditional jockeys riding, it is usually a very messy race. After nine running’s of this the stats are pretty level, with the Irish trainers winning four, and British winning five. 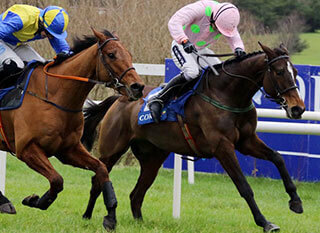 However, one early stat to look at is Willie Mullins, he has won three of the nine races and clearly targets this race. 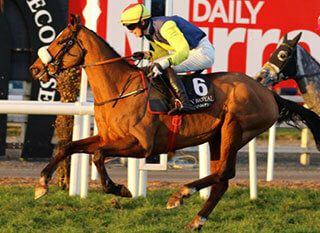 The Irish have won six of the last ten running’s, with two of those being won by jockey Nina Carberry. Make sure you look out for what the top jockeys are riding, they are often booked in advance of the race and offered the best Martin Pipe horses. The Martin Pipe Hurdle is a typically difficult Cheltenham handicap and many horses will arrive looking well handicapped and in with a chance of winning the race. With the race being limited to conditional jockeys, take note of jockey bookings and see where the top names are riding. This race is a hurdle race, with a distance of two miles, four and a half furlongs. The race is limited to conditional jockeys only and the age limit for horses is four year old and up. Many horses will look well handicapped and often the leading horses will go on to bigger and better things. Remember that Martin Pipe racing betting might be difficult to tackle, but with attention and patience you will do well.